LAHORE: The properties and lives of the citizens will be protected and writ of state will be ensured in Punjab at any cost and no subversive and anti-state element will be spared. 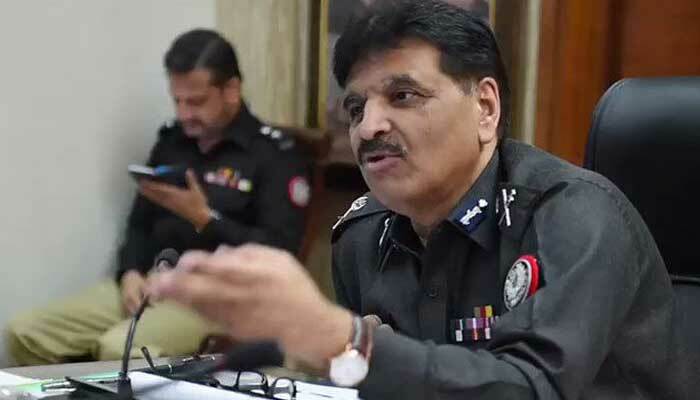 A strict action will be taken against those involved in heinous crimes and a massive crackdown will be launched on drug peddlers, said Inspector General of Police, Punjab, Amjad Javed Saleemi while addressing a video conference of RPOs at Central Police Office, Lahore, on Friday. All RPOs and DPOs and other high-ranking police officers attended the conference. The IG directed the officers to take strict action against drug peddlers selling drugs to students in educational institutions, including universities, medical colleges, government schools and other private institutions. It was also decided that the audit of all sections of police, including investigation police, Special Protection Unit, CTD, PHP, Special Branch, Punjab Constabulary, traffic police and Dolphin Squad would be done. All field officers were directed to complete the audit process within a week and submit reports to the IG. The IG directed the officers concerned to demolish all private constructions at the police land immediately and remove all encroachments from there to start welfare projects. No leniency and negligence in this regard will be tolerated, the IG warned. It was also decided that no recruitment would be made without biometric verification in future. It was decided that no SHO could display his/her name on the police station boards. Identical police station boards across Punjab will be displayed at the start and end of their jurisdictions. It was decided that Loudspeaker Act would be implemented under the National Action Plan. It was decided to beef up security for Chinese engineers working on CPEC and other projects. All RPOs and DPOs were directed to monitor the security of Chinese experts. Progress regarding establishment of Resource Management System in all districts was reviewed and AIG Logistics Rai Babar Saeed told the IG that all resource management centres had been linked with the CPO through a software, and the inventory of all items, including weapons, uniforms, bulletproof jackets, equipment of Anti-Riot Force, had been digitized. The IG was informed that Khidmat Marakaz had been integrated with the district headquarters hospitals in all 36 districts. It was decided that Reverse osmosis (RO) plants would be installed in all Police Lines of the province within a week. At the end of the conference, the IG and all other police officers thanked Prime Minister Imran Khan for appreciating the overall performance of Punjab Police.